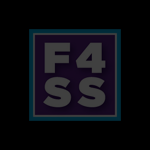 The F4SS Initiative Teams support the mission of F4SS. Our member-led teams offer a unique opportunity to engage and collaborate with industry experts, share best practices, and find solutions to perplexing issues facing the strategic sourcing industry. As a team member, you help set forth the team’s agenda. This approach provides the transparency and collaboration required to develop industry-wide standards and best practices. Most of all, your involvement helps produce tools & resources available to all members in the member area of the F4SS.org website. This includes standardized tools to help define relationships, address slow moving and obsolete inventory, improve quality and implement the systems needed to execute orders. As a result of our members’ participation, we now have a substantial library of tools & resources that have resulted in significant savings and improved efficiency for many organizations. Participation in the initiative teams offers a unique opportunity to work with your peers of customers and suppliers that comprise the growing list of F4SS member companies. Ultimately, you will gain exposure to new ideas, and build relationships that offer the support needed to help advance the industry as a whole! Read below to learn more about each individual team. e-Commerce is here to stay. Members have identified this as a priority and need to assess and evaluate how the constant changing trends of e-commerce impact their business. Formed to develop and execute harmonized solutions, such as the Global Supplier Sustainability Scorecard (GSSS), to promote sustainable practices which create value throughout the CPG supply chain. 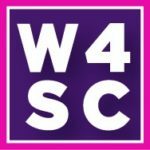 The F4SS W4SC Initiative Team was formed to connect women in supply chain; leveraging their collective passion and determination, and transforming careers.